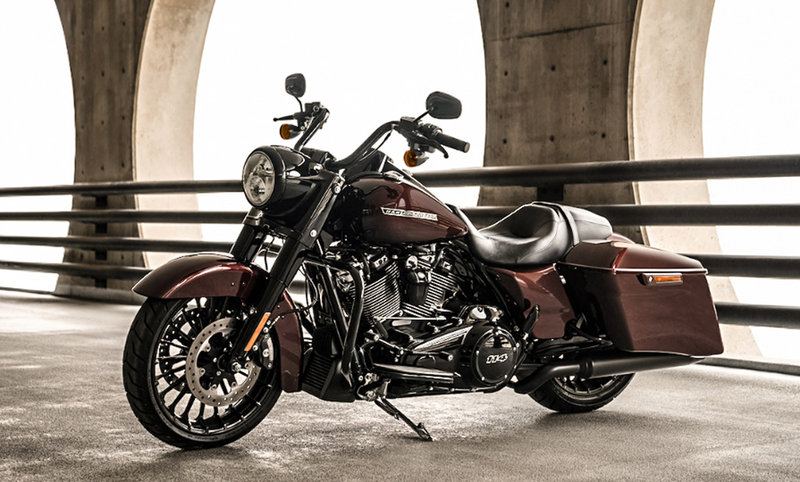 Harley–Davidson has made some changes to it’s Touring range for 2019. 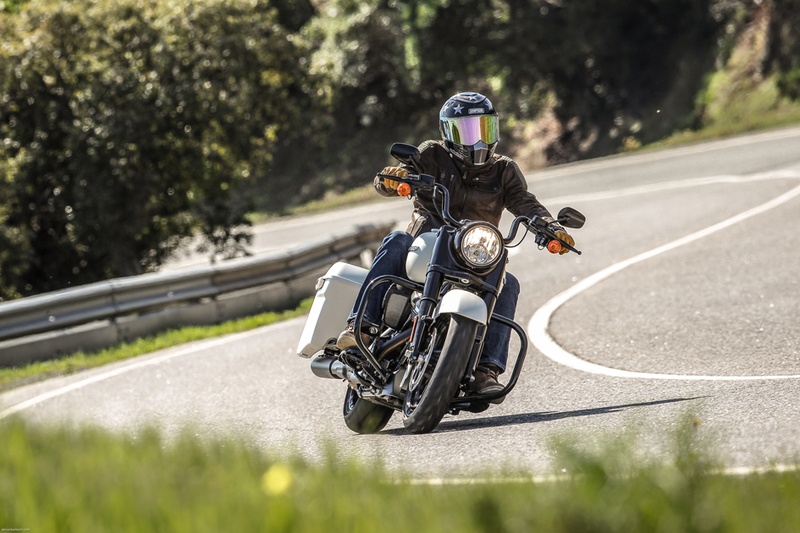 ZA Bikers went to the magnificent Algarve region of southern Portugal to ride the new Road King Special 114 and to catch up on what’s happening at the Motor Company. 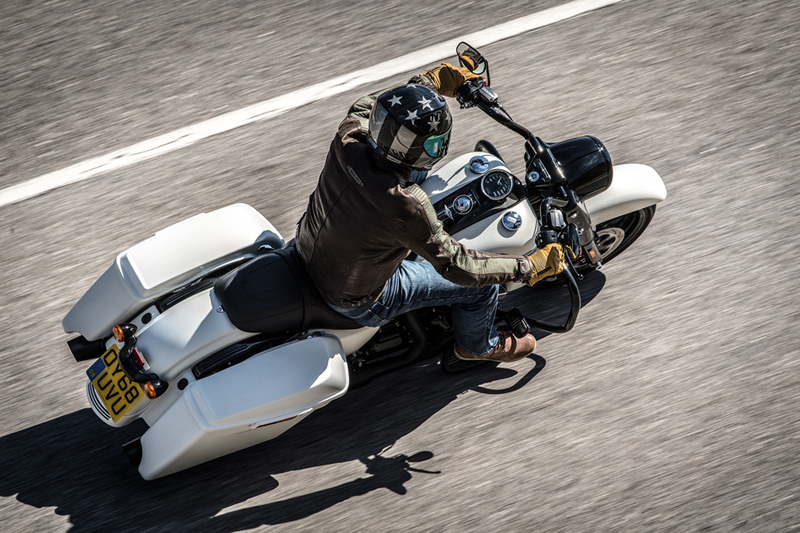 We experienced a machine that totally blew away some oft quoted misconceptions about Harleys in general, more often than not by someone who has probably never ridden a modern Harley–Davidson. 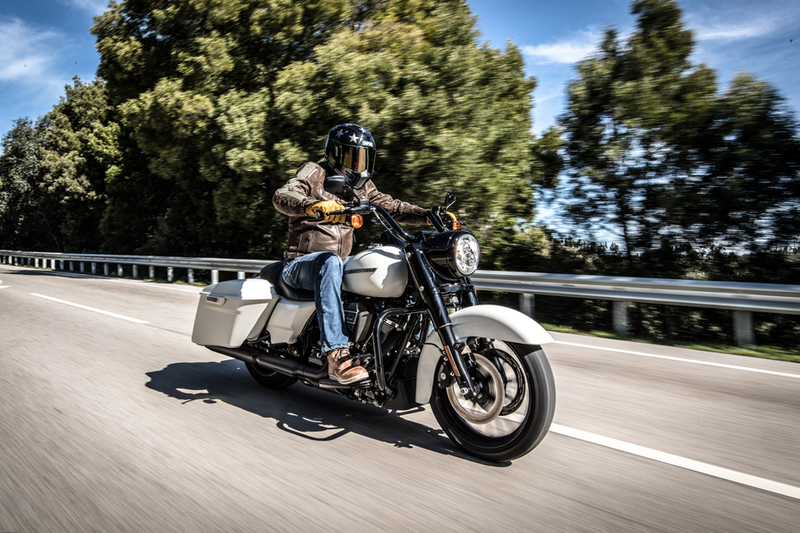 When, in the fall of 2016, Harley–Davidson embarked on their Milwaukee–Eight project, the touring range, including the Road King, underwent significant upgrades. The styling was reminiscent of the original 1994 Road King. This is part of the Harley magic. On the surface everything remains familiar but under the skin it is all new and updated. 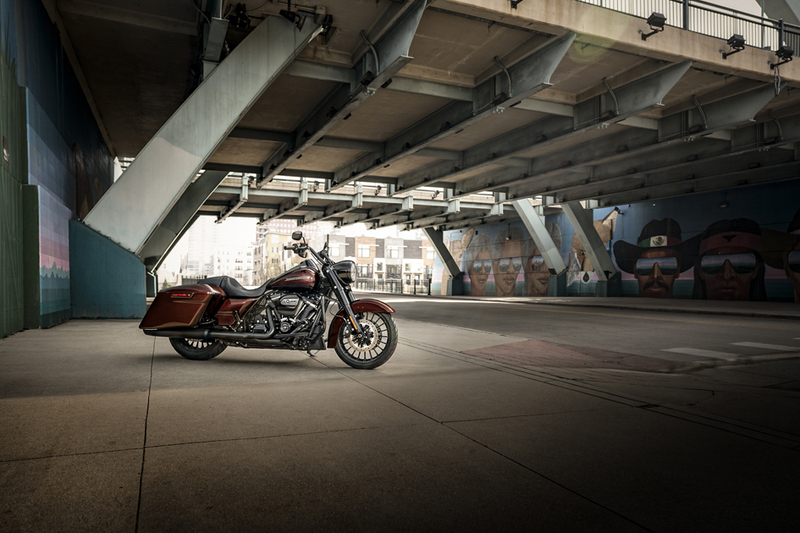 Only the real Harley–Davidson faithful will pick up on the changes. The Milwaukee–Eight project was not only about the new generation of 4–valve head engines with increased displacement, [107 cu. Inch and 114 cu. Inch] or 1745cc and 1868 in metric speak, they also revised the chassis, brakes, fitted new Showa cartridge forks and upgraded the shocks. Power increased from 67 hp and 107 Nm of torque (on the old 1340cc motor), to 88 hp and 150 Nm (on the new 1745cc motor), and even more on the 114 cu. Inch engine. Then folks, Harley–Davidson made it “Special”. The Specials, which started with the Street Glide and Road Glide, and about a year later with the Road King, are blacked out “badass” versions aimed at the younger rider craving style with attitude. A generation that rides with takkies, techstyle jackets and a full-face helmet as opposed to the old traditional boots and leathers boys. I jumped at the chance to don my beloved Simpson Venom helmet and style with the best of them! 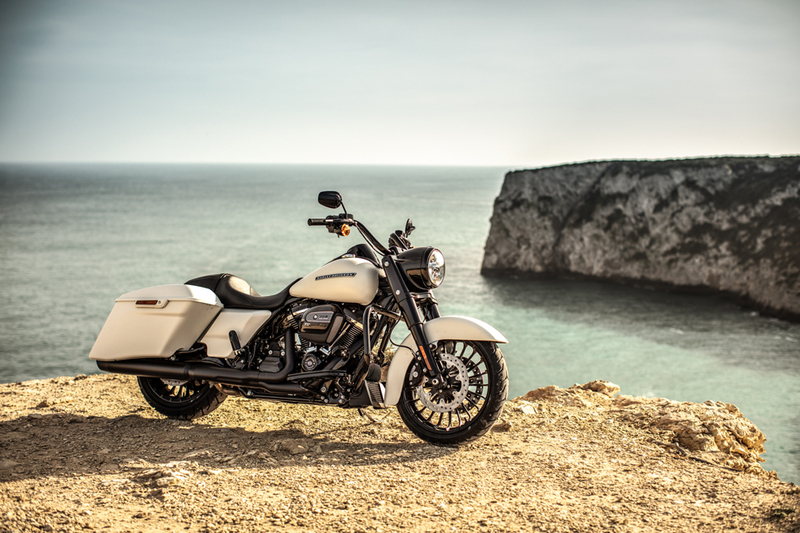 So whilst the fathers take to the road on their traditional Road King Standard and Classic, white wall tyres and all, the son’s will love the bad boy attitude of the Road King Special. 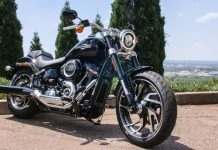 Before I get into the Road King Special riding experience, let’s look at what H-D have in store for us in the not so distant future. We have already seen the launch of their FXDR muscle bike and keenly await the advent of the electric powered LiveWire in around six months time. Not resting on their laurels, a revamped version of the Electra Standard has also come to market with Apple CarPlay compatibility and a dedicated GPS App all appearing on a way crisper and sharper display. 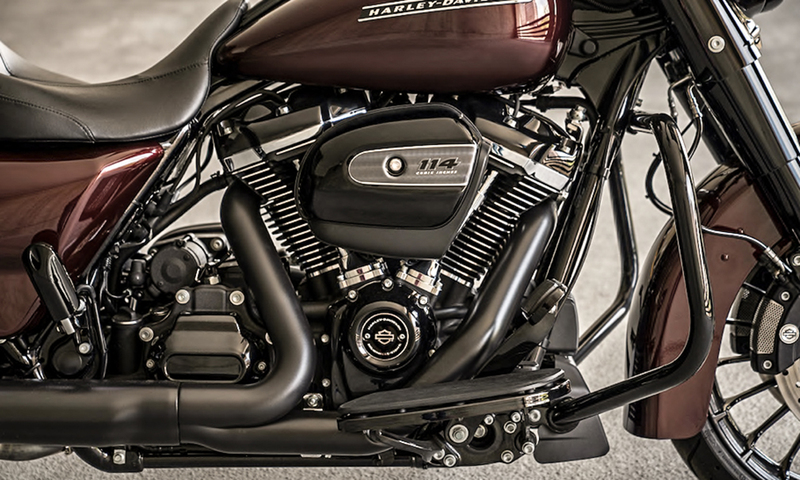 Harley have also put their 114 cu. Inch motor in models such as the Special and Ultra which previously ran the 107 cu. Inch mill. 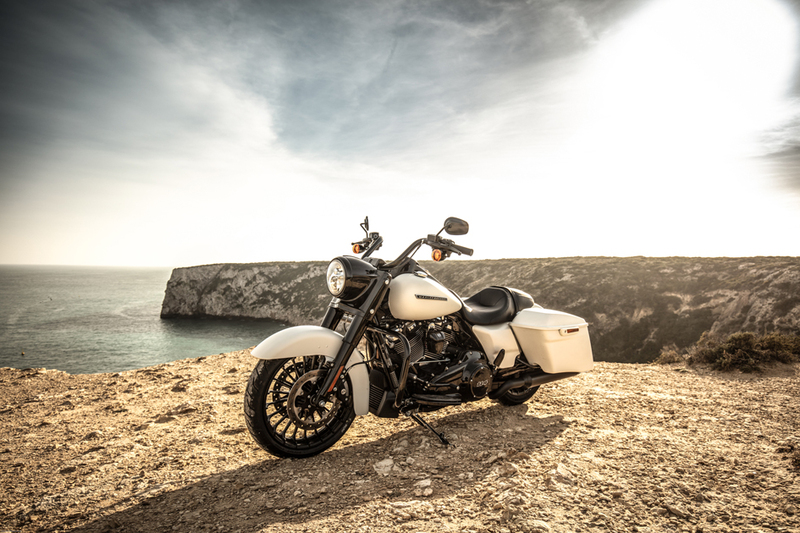 Harley–Davidson planned a thrilling 260 km blast for us through the twists and turns of the Algarve which dispelled that first rumour fair and square. This Special hauls! With 90 hp on tap @ 5020 rpm and 163 Nm of torque @ only 3000 rpm there is oodles of stump pulling grunt to lift the skirts and get this baby running. The power is super smooth, with 4th gear acceleration from a mere 50 km/h and at only 1500 rpm no problem at all. Roll the throttle open at 90km/h in 6th gear and the Special responds with grunty vigour. Gearing feels spot-on too. At 130 km/h the mill is loping along at a mere 3000 rpm. Top whack is over 180 km/h at just over 4000 rpm. 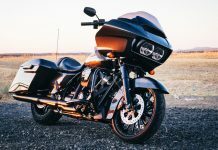 The Road King Special features a brand new 130/60 x 19 front wheel which transforms the handling as compared to the 130/80 x 17 of the other Road Kings. Obviously this is no Sport bike, but it gives good front end feed back translating to rider confidence. Employing a suitably smooth and flowing riding style and using the 32 degree lean angle to the full, you can hustle down a windey road. Brakes are by Brembo and well up to the job of hauling the Special down from speed. That’s a tricky one. Despite hours of riding, including a full week-end on a Road King last year, the jury is still out for me on the comfort aspect. The absence of a windshield is obviously an issue at high speed. Hours in the saddle are going to be fatiguing. 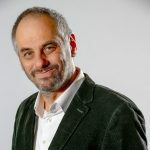 On European roads it is not such an issue, however the passenger seat has almost a negative slope from front to back which exacerbates the strain of no shield. The comprehensive Harley after-market catalogue can remedy this with optional windshields and backrests. The twin 32 litre saddlebags are both attractive and convenient. Sure, they are not cheap, but they are not nasty either. The finishes are excellent and they weather reasonably well. They also hold their value well due to not becoming outdated like Sport bikes every couple of years. As alluded to, the Special smacks heavily of the original 1994 model. This keeps even older models relevant, especially with the new wave of nostalgia that has been sweeping across the bike scene in recent times. As for their lack of “tech”, that is quite simply hogwash. 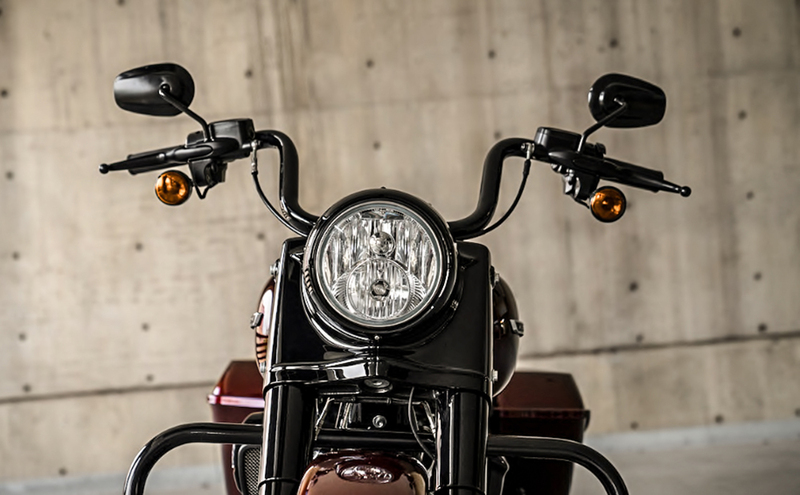 Quintessentially, Harley–Davidson’s are a modern expression of a classic, timeless theme. By their very nature that means they do not try to reinvent the wheel every year. They certainly have got pretty damn good at getting it to roll better though! Next articleHonda Fireblades are now on Special!